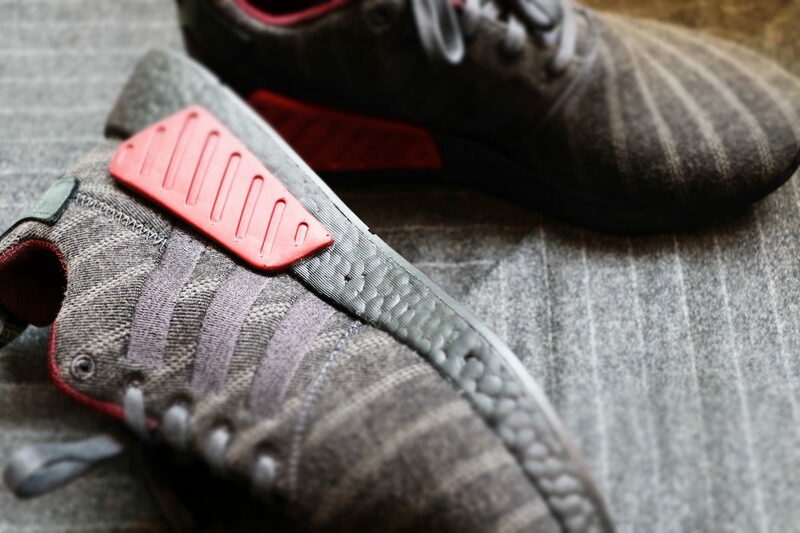 Henry Poole’s Adidas Originals NMD R2 feature cloth made by Fox Brothers and Adidas’ trademark ‘Boost’ sole. 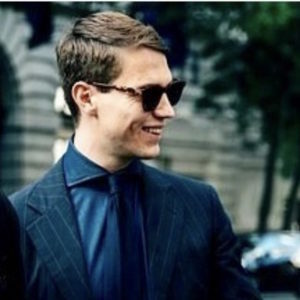 On the surface, Henry Poole and Adidas appear on the opposite ends of the menswear spectrum, yet surprisingly, they share many overlapping qualities that prove there’s more in common between them than you might first think. They are both true innovators in their own respective categories, who make use of materials (both natural and synthetic) of the highest calibre, and create products that aim to enhance one’s life in many capacities. So, a collaboration between the two is actually genius, rather than outlandish. In late 2015, Adidas released the NMD sneaker to critical acclaim. Designed by Nic Galway, Vice President of Global Design at Adidas Originals, this everyday sneaker is inspired by three running models from the 1980s: the Micro Pacer, the Rising Star and the Boston Super. Founded in 1949 by Adi Dassler, as the 20th century drew to a close Adidas had asserted itself as the dominant leader in sports and lifestyle footwear and apparel. As such, when it comes to inspiration, resisting a dip into the archives would have been nonsensical, which is ironic, as the NMD looks is a profoundly contemporary design. The NMD features a Boost sole: a patented invention that’s made from thousands of specially formulated foam pellets, known as energy capsules, to give maximum cushioning and return of spent energy. Adidas’ success in leapfrogging Nike in recent years can largely be credited to this innovative technical detail. The seed of the collaboration germinated around 18 months ago when Henry Poole customer Patrick Reinhardt, Global Senior Product Manager of Adidas, asked for some cloth to experiment with. “He realised that there's probably a story here of bringing a collaboration together with the substance and historic value using modern technology and modern approach,” Simon Cundey, Managing Director of Henry Poole, explains. And so it begun, and with the help of sneaker chain Size?, the pair created two limited edition sneakers. The second model is the NMD XR1. “We thought about how we could incorporate the Henry Poole element and his innovation with the dinner suit,” Cundey explains. The XR1 is clothed in a midnight-blue tech-material that reflects the classic midnight blue dinner suit that was created for Edward VII in 1865. The supporting black mid-foot cage features a grosgrain which is akin to the silk grosgrain facings on a dinner suit, and the white panels on the midsole are a nod to the cuffs on one’s shirt. Inside the shoe, a Cundey weave in blue acts as the sock-lining. The reverse side of the heel tab also features the selvedge of the cloth. The XR1, unsurprisingly, is designed for the evening. “I had a customer whose wife got a pair because after a long night in heels, she could change and leave with them on. She loved the thought of walking back after a party having taken her heels off and being very comfortable,” Cundey tells me. Overall, they demonstrate a thoughtful approach to functional footwear and sartorial tendencies. They’ve been hugely successful, instantly selling out, and are now going for at least double on the second hand market. A collectors item? One hundred percent. “There’s an element of realistic value that a modern man is using these to affect his lifestyle,” Cundey explains. The significance of these two sneakers is that the once-upon-a-time chasm between the formal tailoring and technical sportswear worlds has virtually been filled. Purists may contest, but it’s an undeniable truth that the modern man is increasingly looking for function, comfort and formality in his clothes and footwear — and these sneakers perfectly cater to that burgeoning urge and evolving lifestyle. On to the second part of the collaboration. 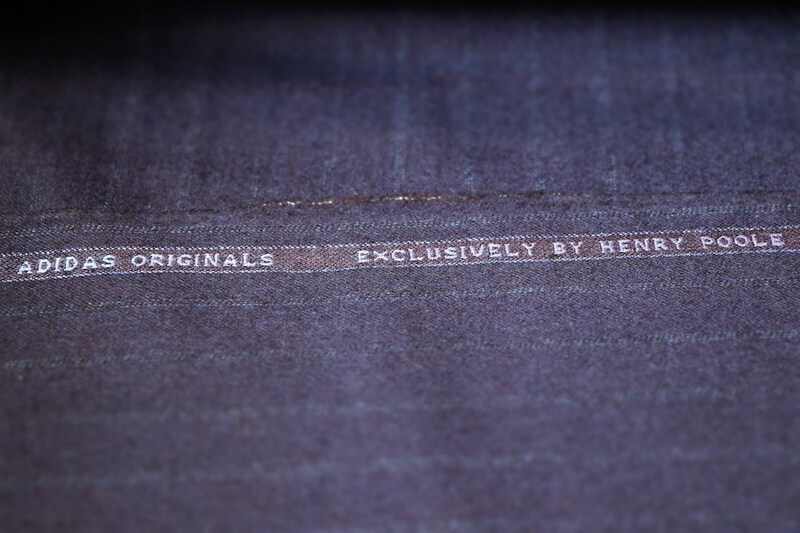 Since day one, Henry Poole has been a loyal customer of Fox Brothers, which was founded in 1772, and so this duo, along with Adidas, have developed a limited edition cloth that takes all three’s heritage in its stride. It’s a beautiful blue 11oz three-stripe chalk-stripe flannel that has elements of tradition and street. “We wanted to give something back whereby customers can buy into a limited edition suit. Just as we are celebrating with a shoe, we should celebrate with a suit,” Cundey tells me. “It came about 12 months ago,” says Douglas Cordeaux, Managing Director of Fox Brothers. “The hardest part was matching the Adidas bluebird blue, as to get that specific colour we had to go down several routes which were time-consuming. Also, to get the three-stripes as a chalk stripe is really clever.” Fox Brothers produced 50 measures of the cloth and so far nine suits have been commissioned at Henry Poole, including Reinhardt’s and also Gary Aspen's, designer, consultant and resident oracle at Adidas. Both suits have the ability to be deconstructed with jeans and sneakers, and have the ability to appear formal, too. It’s unbelievably versatile and cool. This two-part collaboration also marks the delineated occurrence of a tectonic shift of material usage within the fashion industry. Adidas “still want to be at the very edge of development,” Cundey says, and the sportswear giant’s baby step move of working with natural materials is nonetheless a step in the right direction. “It’s been flipped on its head a bit, which I think is really fascinating. We’re doing bigger investigations into sportswear at the moment,” Cordeaux says. So, with Adidas using natural fabrics of the highest quality, Fox Brothers venturing into the world of sportswear and a bastion of tailoring collaborating with a global force, what does the future hold? This isn't ‘just a collaboration’, this marks the beginning of a new age of craftsmanship, menswear, sartorialism and technology.